What are Ceramic Coatings for Automotive Finishes? Ceramic coating are becoming popular with automotive enthusiasts. Rightly so these very hard coatings rate 9H on the hardness scale. 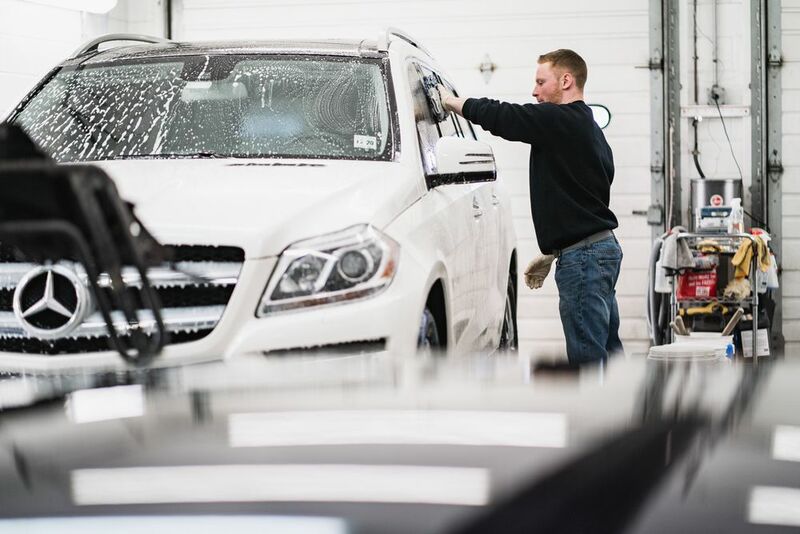 Putting a ceramic coating over a properly prepared finish will add maximum protection from abrasion, swirls, contamination, and penetration by salts, sap and animal droppings. Along with these protections a quality coating can enhance, gloss and magnify metallics. Once coated the finish is protected for a longer period of time than wax. Coatings vary in durability from 6 months to 5 years when exposed to the elements and frequent washing. Vehicles that are garaged will have longer coating life. Waxing is not necessary but increases durability. High quality coating also have a hydrophobic effect which sheds water and creates a self-cleaning effect. This effect can be enhanced by applying another range of products such as Wetcoat or Q2 Booster. These applications work in conjunction with Ceramic Coatings to keep the surface clean. Water beads and sheets off the surface. Virtually any exterior or interior surface can be coated to add protection. Why should I consider The Gyeon Quartz cloth range of products? This product line services both enthusiasts and the professional detailer. Extensively tested and installed worldwide, the product preforms as advertised. 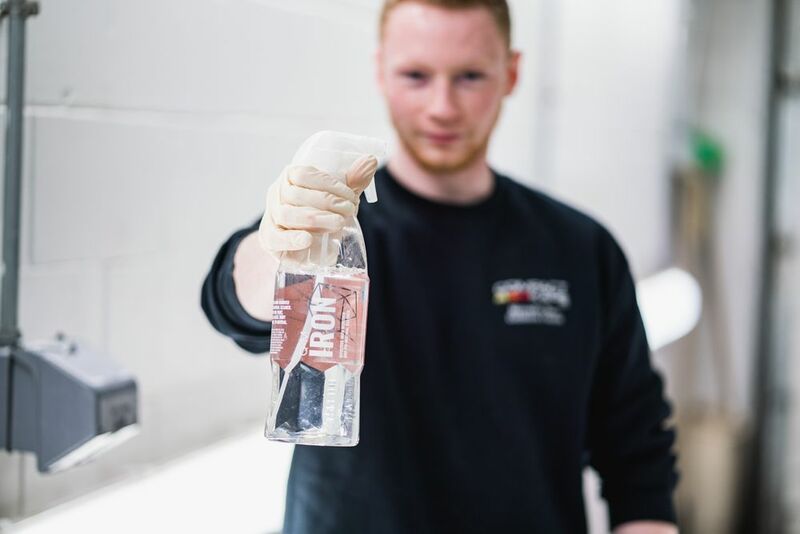 Gyeon offers a full line of maintenance products that are attractively packaged and competitively priced. Recently they have introduced their Compound+ and Polish line. These water base products provide a very high level of scratch removal and produce an incomparable finish. 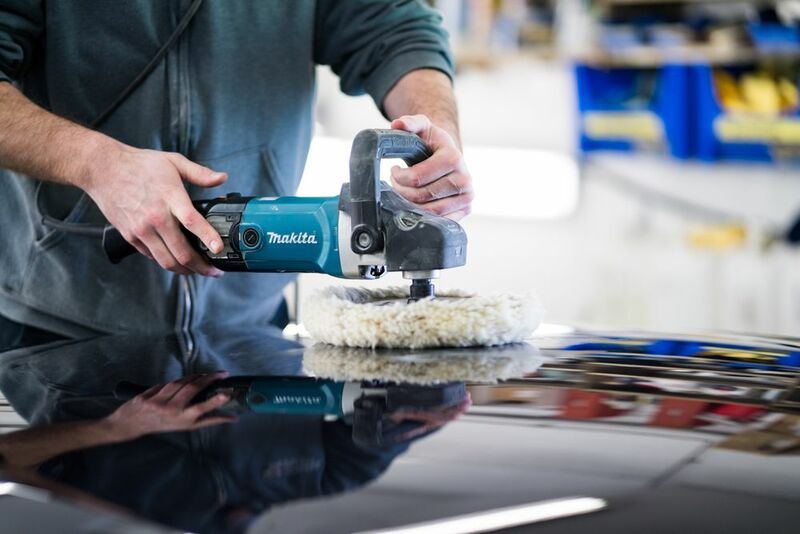 These products are suitable for paint correction on seasoned finishes as well as freshly painted surfaces. The easy cleanup of the nearly dustless product make it a good choice for use in any environment. 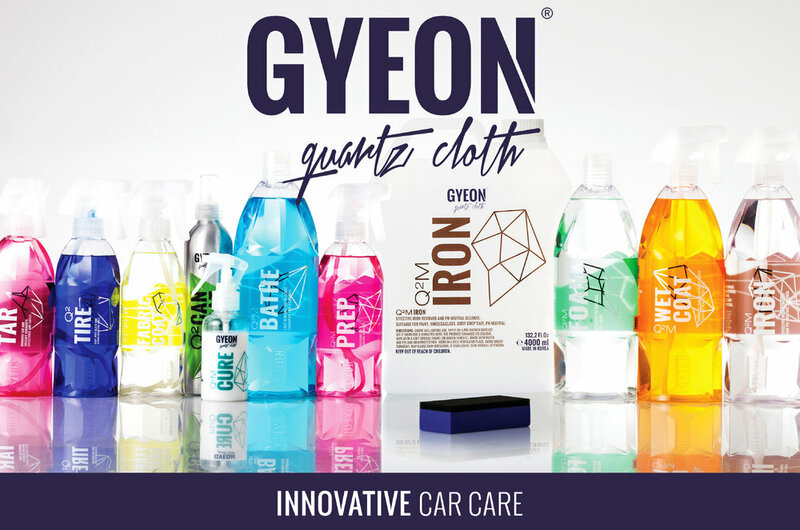 Where can I buy the Gyeon Quartz cloth range of products? Compact Kars provides full spectrum detailing and installation of the products and we are also a valued reseller to enthusiasts and other vehicle professionals.